A powerful, simple way to manage your career center online. Career Services Central® (CSC) is the intuitive, affordable career office management platform that works on any device and is relied upon by hundreds of institutions and organizations across the U.S. since 1997. In fact, CSC is so easy to use that most clients launch their services without any assistance from their IT departments! Our one-on-one training sessions, online webinars, and fully-staffed, highly acclaimed, career professional College Relations Team ensure smooth day-to-day operations for career offices of any size. Plus, we help you stay within your budget. 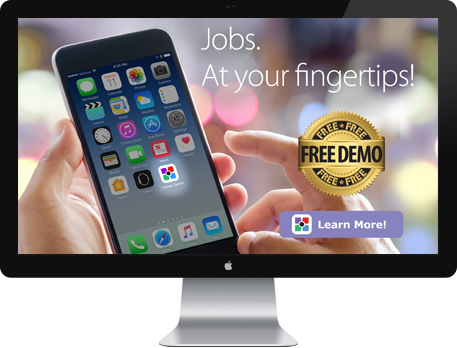 Contact us to schedule a demo and see for yourself why hundreds of colleges just like yours have made the switch to a simpler, modular, and more affordable long-term solution. A modern and all-device friendly interface that works like your favorite Web applications! Documentation, tracking, and reporting of all contact with job seekers and employers. Life-long career portfolios for students, alumni, and community residents! Our proprietary algorithms deliver industry best matching with NO solicitation of your employers. Manage career fairs of any size. Includes online employer registration, payment processing, and social integration tools. Easily manage your internship, work-based learning, co-op, and other experiential learning programs online. Career Services Central's modular architecture works on all computers, tablets and smart phones. It includes all of the features listed below. You can activate any feature at any time, at no additional charge, as your office grows or your needs expand. We've used other vendor products and found CSC to be the easiest, the most intuitive, and the best fit for the needs of our school. I just can't tell you how much this new system has meant to me! CSC was far easier to set up than our previous and far more expensive system. Thank you so much for everything, and CSC is an amazing tool that is helping this school. We are very happy with the system and all of the functionality it provides for the low cost. The system is working well for me! It is very easy to use and it offers great tools. I love the Notes Manager! Bulk uploading our students has been awesome! Within one week... nearly 700 new students have activated their CCN accounts! The Live Event Manager module works great! It helps us stay organized internally, and helps with communication externally. Thank you so much! Always impressed with your customer service! I am really happy with all the efforts you make to make the site more friendly for our users. I appreciate the assistance and we are really enjoying the new system! Utilizing this system has allowed me to plan the job fair more efficiently.... I could go on and on! I already added the five new Career Advice Documents (CADs) to our database. Great topics! The ELM module is working fantastically to track our weekly verification of Time/Grade sheets.... No more paper! The reports section is just fantastic! We are in love! The students and faculty appreciate this user friendly site. Your system is already exceeding my expectations and the college administration, all the way up to the President, are ecstatic about it. Once again, thank you for all your help and quick response, I love working with you and your amazing team! CCN has made the creation of student accounts so easy! On a side note, you do a GREAT job with your training, which is greatly appreciated. We love our job board...that has, hands down, been the best thing we've done in years. We have saved a great deal of time [with Live Event Manager] and have actually seen an increase in our employer participation. Things are going very well, and the feedback has been excellent. I really appreciate all of your guidance as we get up and running. The payments for the event, the different report downloads..., and the convenient email to exhibitors—all terrific! Just a quick note to say that..."Live Event Manager" was awesome this past year. Our Spring Job Fair was an incredible success.... We definitely will be using [LEM] for all our future Job Fairs. This new job board is AWESOME! I just had a chance to review and use the new Career Document Library upgrade and I love it. The initial ELM submission form is great! The learning goals that I have been receiving from students are great. I love it! I was really excited that we already had so many submissions from students! A member of our College Relations Team will get back to you shortly! Copyright © 1997-2019 College Central Network, Inc. All rights reserved. Career Services Central is a registered trademark of College Central Network, Inc.